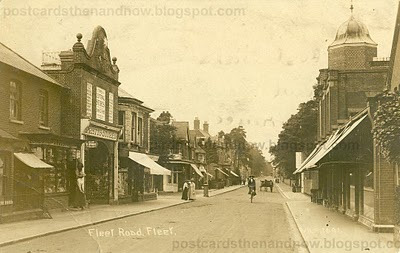 Fleet Road today. It is a pity that the building on the left has lost its ornamentation. There is a metal star at the top of the building and underneath it writing that says 'The Risen Sun'.